Ethan Howard from the Camden County 4-H Shooting Sports Club was selected for the North Carolina National 4-H Shooting Sports Team in Compound Archery. Ethan will compete with the North Carolina team in the National 4-H Shooting Sports Tournament in Grand Island Nebraska, June 24–29, 2019. Ethan has been a member of the team for the last couple of years and has had a great deal of success. In the Eastern District 4-H Shooting Sports Tournament this year he took gold overall in Compound Archery- Match. 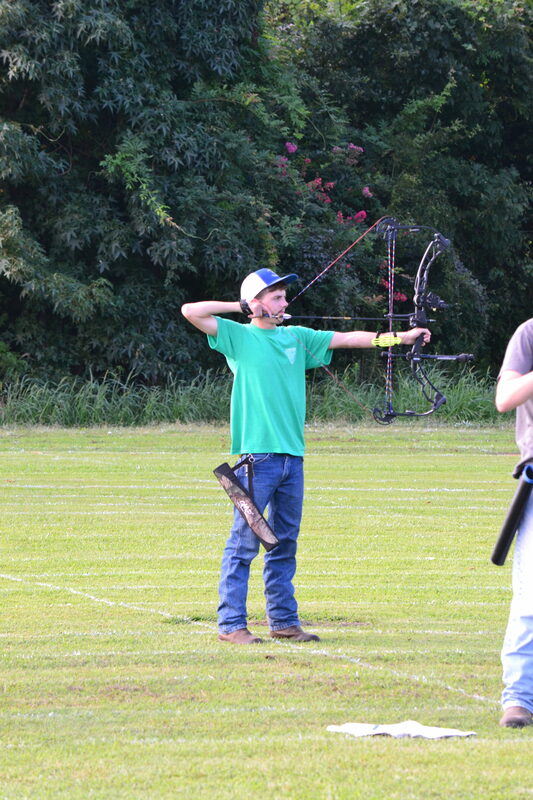 Then in North Carolina State 4-H Shooting Sports Tournament he ranked fourth overall in Compound Archery-Match. Following these tournaments, he was invited to try-out for the national team. After making the team, he will now practice each month in Ellerbe, NC with teammates from across the state. Ethan goes beyond just competing with the team and recently attended a weekend-long training to become a certified 4-H Shooting Sports volunteer to help other members of his team. Congratulations on this success and to all of the Camden County 4-H Shooting Sports Club members!